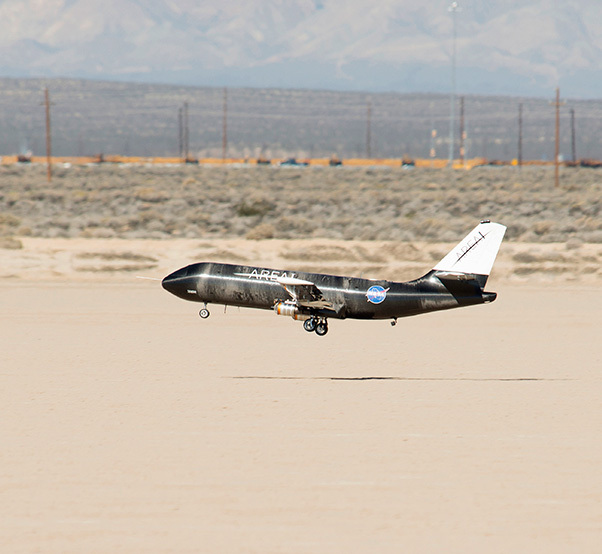 NASA Armstrong’s PTERA remotely piloted research aircraft made its first flight on Oct. 22, 2015. All flight test objectives were met. 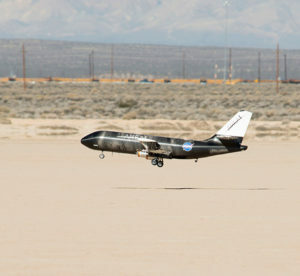 On Oct. 22, researchers from NASA’s Armstrong Flight Research Center at Edwards Air Force Base, Calif., and Area-I, Inc., of Kennesaw, Ga., successfully conducted the maiden flight of a remotely piloted test bed for cutting edge aviation and space technologies. The Prototype-Technology Evaluation and Research Aircraft (PTERA) is a versatile flying laboratory bridging the gap between wind-tunnel experiments and crewed flight-testing. All first flight test objectives were successfully accomplished according to team members from Armstrong’s Dale Reed Small UAS Lab and Area-I. In 2012, the company flew the PTERA’s sister ship at Middle Georgia State University’s Eastman Campus. The maiden flight of Armstrong’s PTERA followed two weeks of training and ground testing. 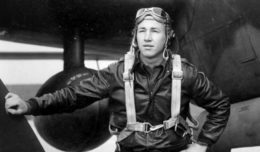 The aircraft was flown under radio control by Area-I lead PTERA pilot David Stuart, as well as under the control of a Cloud Cap Piccolo autopilot. A maximum speed of 145 Knots was obtained making this the fastest PTERA flight to date. Intensive post-flight inspections of the aircraft revealed no problems. “The first flight provided a wealth of insight into what it takes to fly and maintain the PTERA aircraft, and allowed us to identify areas for improvements that will increase safety and efficiency,” said Bruce Cogan, NASA project manager for PTERA. For more information on Armstrong’s PTERA http://www.nasa.gov/centers/armstrong/news/FactSheets/FS-108-AFRC.html.